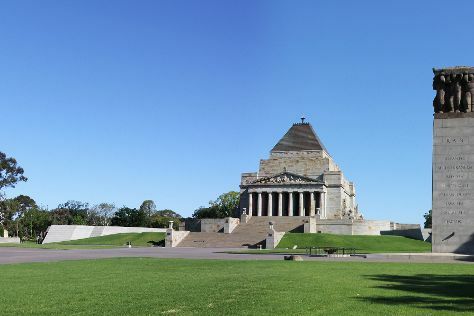 Popular historic sites such as Shrine of Remembrance and Wesley Church Melbourne are in your itinerary. The adventure continues: take in nature's colorful creations at Royal Botanic Gardens, look for all kinds of wild species at St Kilda beach, contemplate the long history of Old Melbourne Gaol, and get a taste of the local shopping with Melbourne Central. For reviews, more things to do, and other tourist information, use the Melbourne journey planning tool . Use the Route module to find travel options from your starting location to Melbourne. In March, daytime highs in Melbourne are 30°C, while nighttime lows are 15°C. Wrap up your sightseeing on the 14th (Thu) to allow time to travel to Broken Hill. Start off your visit on the 15th (Fri): examine the collection at Royal Flying Doctor Service, The Bruce Langford Visitors Centre, admire the masterpieces at Pro Hart Gallery, then look for all kinds of wild species at The Broken Hill Sculptures & Living Desert Sanctuary, and finally contemplate the long history of Broken Hill Trades Hall. On the 16th (Sat), you'll have a packed day of sightseeing: explore the wealth of natural beauty at Mutawintji National Park. 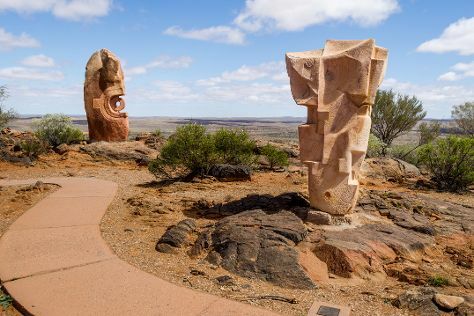 Plan trip to Broken Hill with our itinerary maker to find out where to go and what to do. Traveling by flight from Melbourne to Broken Hill takes 4.5 hours. Alternatively, you can drive; or do a combination of train and bus. Traveling from Melbourne in March, Broken Hill is a bit warmer at night with lows of 22°C. Wrap up your sightseeing on the 16th (Sat) to allow time to travel back home.